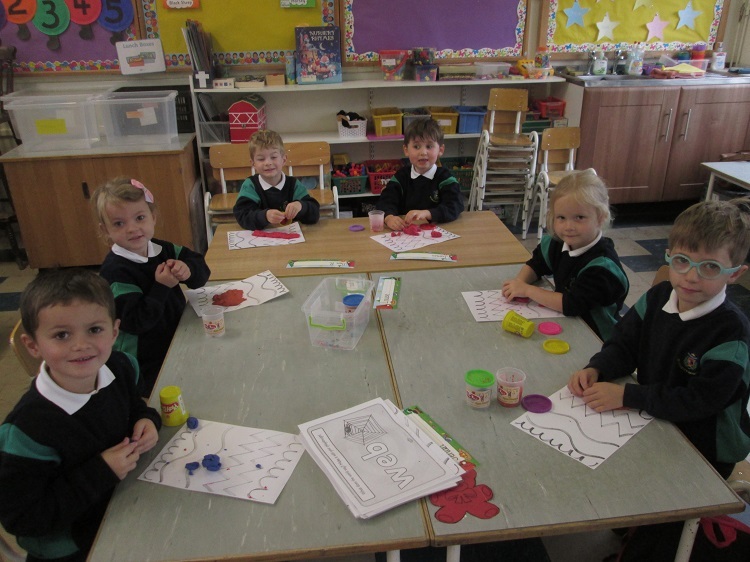 On Thursday 4th October ’18 the children celebrated National Tree Day! 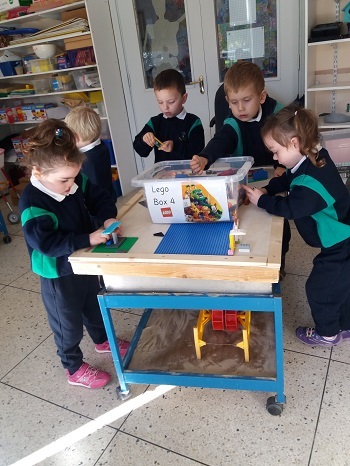 Last year our school were very lucky to receive a grant of €2000 from the Henkel Group. As we are working towards achieving our STEM certificate of excellence some of this money was spent on stocking our science room with Lego!! This has been a massive hit with the children in all classes and there are plenty of budding engineers and architects in the making. 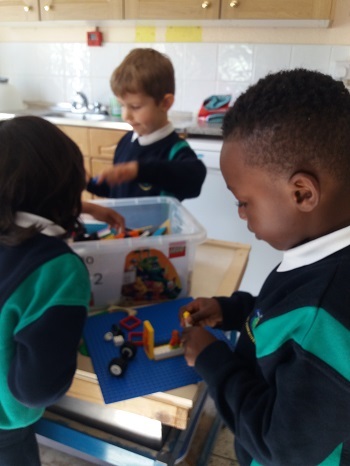 It is wonderful to see the children having so much fun while developing their maths, science & creative skills. 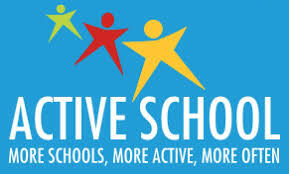 I would like to update you on some initiatives which are currently on-going in our school. We have just been awarded our 8th Green Flag which is a huge achievement for all our pupils, staff and school community. The theme for the 8th Green Flag in Global citizenship. 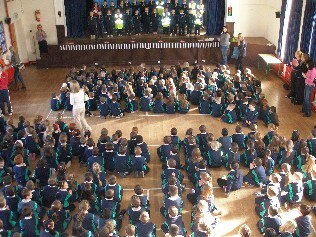 With this in mind and taking into account the young age of our pupils, we are focusing during the month of May on in our school and community as well as the other themes of recycling, litter awareness, energy conservation etc.. A special thanks to Mrs. Phelan for spearheading the Green initiative. We are currently in the final stages of making an application to renew our Active flag where we are making special efforts to include active activities in our daily lessons and during recreation. Our 1st classes will begin swimming next week, Coach Morgan is continuing to coach gymnastics every week and PE equipment will be available to Senior Infant Pupils to use during play time on a trial basis next week also. We are also liaising with local sporting organisations and individuals giving children experiences of a variety of sports such as football, hurling, yoga, dance, athletics etc. Active Week will take place during the week of June 18th-22nd. Thanks to Ms. Mc Govern and Ms. Sweeney for spearheading this initiative.